Tons of research and data mining went into this list and I tried to trim most the fat and keep it more of a quick power point! Enjoy! Also don’t forget to sign-up for our E-mail list! Want your music / albums to have Digital Distribution? There are many options to comb through and NOT ALL OF THEM COST an arm and a leg! Some services will release your music to hundreds of digital retailers and you DO NOT NEED A RECORD LABEL BEHIND YOU! Streaming music is the direction of the future and it has many advantages, like analytics. Large companies are willing to pay MILLIONS of dollars for analytic and demographic data, like who is buying and listening to what, or who likes artist (A) that also likes artist (B). This tells them EXACTLY who to market and advertise specific releases to, no more blanket campaigns with broad audience hopes! Every time we click ANYTHING our data is submitted to these companies, Every Thumbs Up or Down on Pandora, Every “I ALSO Like this artist” on Spotify etc etc but it’s not JUST the BIG COMPANIES that can utilize that data. Take advantage of YOUR BRAND now, and study YOUR DATA – YOURSELF! Sign up and utilize a Digital Distributor for your next song or album! You are one step closer to having your music on itunes, Pandora, google play, napster, playstation store, spotify, xbox store, etc etc etc. *You can release music through AS MANY Digital distributors as you want, however each release CAN ONLY COME FROM A SINGLE Distributor. Some expire, some have lifetime and yearly fees, some have reapplication options every year. Here is a list of some of the best AND WORST features of a multitude of options! *These companies DO NOT OWN your copyrights, they are just distributing them to retailers for commission on each sale. 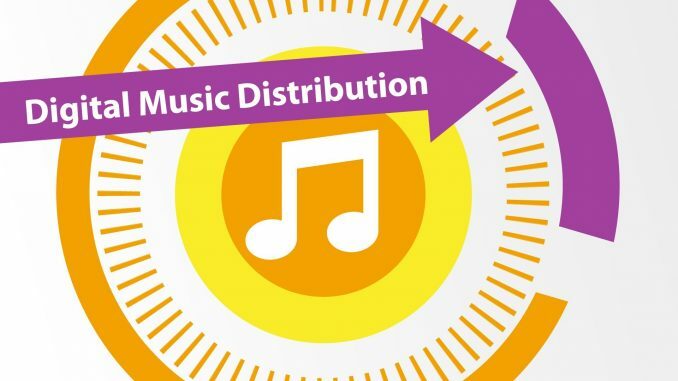 *It is generally a GOOD idea to give a distributor a sold 4-6 weeks to release an album to make sure it has TIME to access and get your music to all the retailers, some are accessing 700+ outlets for you! Amuse does NOT have a desktop site, they have an APP and all music is submitted through DropBox. They do NOT charge Fees and they do NOT take Commission. They are literally JUST COLLECTING DATA, hoping to find an artist with a big following that they can sign to a 50/50 deal eventually. They have an Investor funding the entire company as long as it remains profitable to collect their data and find gems, also hoping he doesn’t back out and implode the company. Awal: Claims to find MORE $$ and Pay you Twice as fast as others! This company however requires you to SUBMIT to them to be CONSIDERED for Distribution. Spotify/Apple Music analytics mobile app with push notifications when tracks are added to playlists. And it will tell you how many people skipped your track on Spotify (or listened through). Difficult to get releases distributed in under 4 weeks. Possible for priority clients, but oftentimes high delays for non-priority artists. No yearly fees. You pay once, your music is up forever no matter what. Physical distribution. They have partnered with Alliance Entertainment, Super D and Amazon to get your CD/record in record stores around the world. You must apply for this feature. They have an admin publishing service to collect your songwriter royalties via CD Baby Pro Publishing. One of the few companies to collect your SoundExchange (Sound Recording Copyright Owner) royalties for you. It’s a massive process (and headache) to signup as a rights owner (and fill out their catalog spreadsheet). CD Baby covers this for you. You still have to signup as a Performer on your own with SoundExchange, but this cuts a lot of the hassle down. They charge $5 for a single UPC or $20 for an album UPC. These aren’t optional add ons. You can’t distribute your album without a UPC – so add on an additional $5/20 for each release. DistroKid: DistroKid was the first distributor to offer unlimited distribution for one annual fee. Oh, and Ludacris uses DistroKid now too! No commission. You keep 100% of the revenue. Unlimited songs for one yearly price. Email every step of the way – upload success, when it appears in Spotify, iTunes, etc. “Leave a Legacy.” If you select this option for $30/release, the release will never come down “even if you die.” If you miss your annual payment on any of the other services (or DistroKid without this option), your releases will be removed. Ability to download the songs. DK stores everything in the cloud. And if you need to download the wav file of your song because your hard drive crashed or something, you can log into your account and download it. Text message marketing (coming soon) which has the potential to be incredibly powerful. It was tested on Ludacris’ release and supposedly was quite effective. Reports and analytics. DistroKid gives very basic information in plain site (total money earned and total plays from each platform), but to see how much a single song earned or plays from a single song is virtually impossible and requires downloading a CSV then doing some excel magic which I am not smart enough to do. They give you ALL the data, but no one can comprehend it when it’s thousands of lines of single plays. And the totals are only by page (?!) not by song/artist/platform, etc. $.99/year/release for Shazam – this is free with all other services and it isn’t disclosed up front that this is not included for the yearly price. If you distribute an album of 10 songs, it will cost you an additional $10/yr for that album just for Shazam. No admin publishing partner to help collect songwriter royalties. Just Like Amuse, this company is collecting analytical data and is fully funded by an investor. They make their money through ads and up selling services like LANDR. Have ‘experts’ who will review your music for $25/song. Can be helpful to get objective feedback. Like Amuse, Hopefully the investor doesn’t walk out! Corners the ASIAN Markets Heavily, caters to a younger “youtube” crowd in Asian Countries Primarily, as well as the few more popular U.S. retailers. High take down cost for the first 3 months (if there’s an error with distribution and you need something fixed, it’ll cost you). LANDR: Yeah, the AUTOMATED Mastering Guys Distribute Music! These guys did NOT tell partners they were buying AD space from (Other digital distributors) that they were working on their own, and since the launch have RUBBED A LOT OF THEM THE WRONG WAY, needless to say they are offering distribution now too. Shared workspace. Landr has a collaborative workspace where everyone on the team can work on a track in a centralized location. I haven’t tested it yet, but it sounds very intriguing. Worth looking into. New and unproven. There is a big learning curve when it comes to the distribution. Lots of missing features that other distributors offer. Does not provide a mechanical license for you to release a cover song seamlessly (you have to go to Loudr, Harry Fox’ Songfile or Easy Song License to get your own). OneRPM: Heavily HEAVILY Corners the Latin America Market, and Brazil is the 2nd highest in music consumption n the WORLD next to the U.S.
6 different MCNs (Multi-Channel Networks) with 5.5 billion views a month. This helps maximize YouTube revenue. They have video production studios where their artists can shoot videos. ReverbNation: Over-saturated with trying to SELL you services but they also OFFER A TON of stuff! Packages. For $19.95 a month they offer a mailing list service (up to 10,000 subscribers), free song downloads, the ability to submit to opportunities such as TV placements, label submissions and festival slots, and distribution of 2 releases per year. Tons of Data. Because they have so many bands who have registered so many shows, they have a touring database built up (similar to indieonthemove.com) that can help bands find venues of similar size in multiple cities. Everything a band sets up with ReverbNation is branded heavily with ReverbNation. It’s hard to operate independently from them in any respect. They are built for the beginning bands and don’t offer “professional” services for bands that outgrow the beginning model. Their Mobile site navigation GUI is HORRENDOUS on various displays and devices! The company is so huge now that communication is very slow and impersonal. RouteNote: The FIRST Distributor to partner up with SoundCloud! They also have a HUGE footprint in the Asian Markets that MOST distributors lack! Revenue and analytics reports. No clear interface to see your reports – you have to download a CSV file and work Excel magic. Revenue and analytics reports – some of the best in the biz. They are incredibly clear and very detailed. Very easy to interpret and understand without having to download CSV files. Admin publishing company prevents you from working with a synch licensing agency to get your music in TV, commercials and films. Deal breaker. Charges a fee for adding new outlets. Either $2 per outlet or an additional $10 per release to automatically add all new outlets. I HOPE THIS HELPS YOU DECIDE HOW TO RELEASE YOUR NEXT SONG OR ALBUM! WHO TAKES (OUT THE BOX) 0% COMMISION (WITHOUT ADD ON PACKAGES)? WHO DOES NOT HAVE A YEARLY FEE FOR YOUR RELEASES?